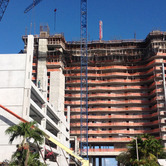 John Ellis is an Associate with RKF’s Miami office. He is experienced in market planning, construction and lease negotiation and has represented both tenants and landlords in their retail needs. John has worked with numerous retailers, including Einstein Bros. Bagels, Walgreens, JNL Fitness Worldwide, GNC, Kohler and Luxottica. He has also executed numerous leases with regional and national landlords, including Simon Properties, Regency Centers, General Growth Companies, Duke Real Estate, Westfield, Prudential, Terranova Corporation, MET Life and Millennium Partners. Prior to joining RKF, John was the Director of Development for Southern Holdings LLC, where he was responsible for all aspects of new store development from market planning through lease execution. Previously, he worked at iFloor in Seattle, WA as the Director of Development. John earned a Bachelor of Science Degree in Economics for the University of Wisconsin-Madison and a Construction Administration Post Graduate Certificate from The Wentworth Institute of Technology in Boston, MA. He is a licensed salesperson in the state of Florida and a member of the International Council of Shopping Centers. I recently spent a day touring the Edgewater neighborhood. It was Christmas Eve; traffic was remarkably light and the streets were very quiet. On the surface Edgewater looks like your typical working class neighborhood. 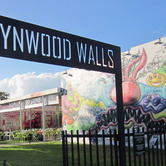 Wynwood has seen a push towards gentrification and the push has become an all-out rush. The transition from a commercial neighborhood to a vibrant work-live-entertainment hub is well underway. 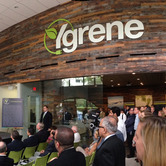 An important public-private partnership was quietly launched last month in Coconut Grove at a reception hosted by Ygrene Energy and attended by corporations, local landlords, top elected officials and the media. Art Basel is coming back to Miami in December and this is good news for the commercial real estate community. The Basel leasing season is already in full swing as national and international retailers rush to execute leases and finish tenant build-outs in time for the annual art fair.